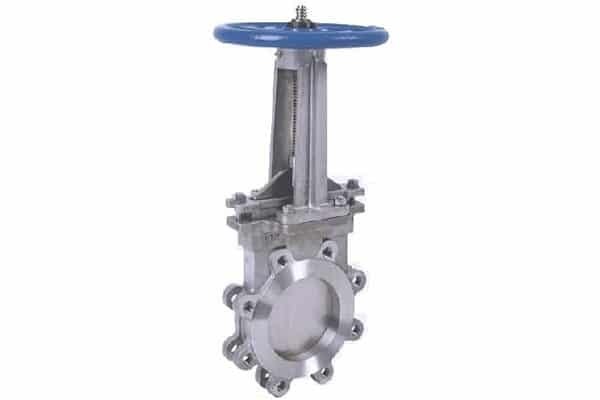 Being a leader in the valve manufacturing forte, we have gained considerable expertise and by which means we are here with the knife edge gate valve. This knife edge gate valve is configured to resolve the clogging problem of the several industries. The sharp edges of this knife gate valve cut the jamming between the wedge and seat and thusly ensure unobstructed flow of liquid or slurry. The efficient and consistent performance of this knife edge gate valve has made it the superior alternative among industries to achieve unobstructed operations, made from best in the class quality material to impart vital sturdiness, longevity, and corrosion free experience. This knife edge gate valve is accessible in the different parameters as per your need at the lowest possible rate, to avail contact us today.